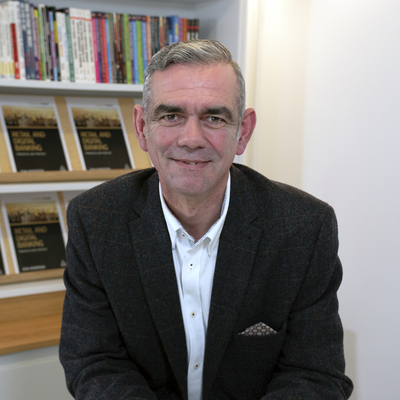 John Henderson has worked in retail banking for 32 years, having spent the first half of his career in various retail banking roles and working in different channels with Bank of Scotland, before joining fledging supermarket bank, Sainsbury's Bank. John then headed the multi-channel customer experience team for Bank of Scotland before moving to Royal Bank of Scotland in 2002 to manage branch design and distribution for RBS and NatWest. Latterly John has managed offshoring of back-office operations and he now looks after global operations capacity management systems and forecasting for RBS. John has two MBAs, his first from Edinburgh University and his second from the Chartered Banker Institute. John is a Fellow of the Chartered Banker Institute.